1| Happy Tuesday! I am in a damn good mood today but I think it's because I only have a 3 day work week this week! I didn't plan it that way but we got Monday off for MLK and Friday is Eric's birthday and I always try to take it off if I can so, I am! 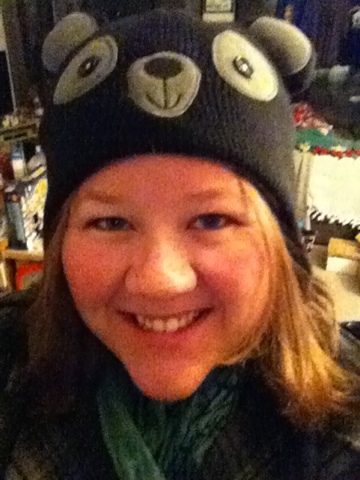 2| I don't know if I ever bragged about my Christmas gifts on here but my Husband is one heck of a gift giver! He is so thoughtful! Three gifts I am particularly thankful for this morning is my Brave Bear hat which is super warm, my isotoner gloves which have the fingerless option as well as a full mitten! 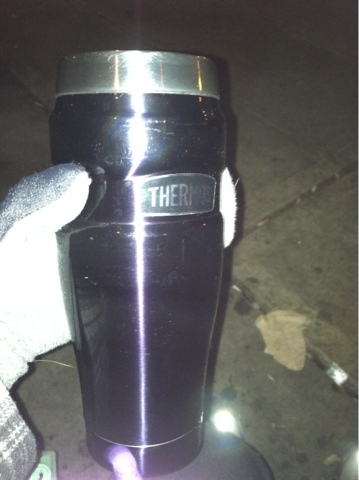 And last, but not least my thermos commuter coffee cup! It keeps my coffee piping hot! I've discovered it can keep it warm from 5 am and it is still drinkable around 2pm! Crazy! Pictured below ! 3| this weekend was so nice! Makes me think I could do 4 ten hour days and have a three day weekend every week! If only it were an option! 4| I have started my Series 7 studying again, I don't have a hard date for the test yet but I will let you know when I do! I am thinking April or May depending on how my studying is going! 5| taking the above into consideration I think I have a learning disability of sorts! It goes in one ear and out the other, I am trying I promise! 6| I have discovered that at the ripe old age of 28 I am getting gray hairs! Eeeek!!! Thanks to Mom dying her hair most of her life I don't even have a clue as to when she went gray but I know my dad was young. So now there's the decision to hide it and due my hair or embrace it and pray my husband doesn't mind me with gay hair! 7| I went shopping at two big blondes this weekend and picked up 6 new tops! I love that place! A whole week of new wardrobe, here I come! 8| I don't know if I have ever sung enough praises to my iPhone but that is what I am blogging on right now as Make my way to work! I love this damn thing! So, please excuse the typos and and fat fingers!